Duralee offers an extensive line of printed & woven upholstery textiles, which are creative and innovative, offering high quality design at a value. The HC Monogram brand is focused on the Luxury market and offers the finest in designs with premium quality and construction. To complement these brands, we proudly offer Duralee and Highland Court Trimmings. Recognizing the rigors of the design process and the need for convenience, we are the first single-source for fabric and furniture frames in the country. 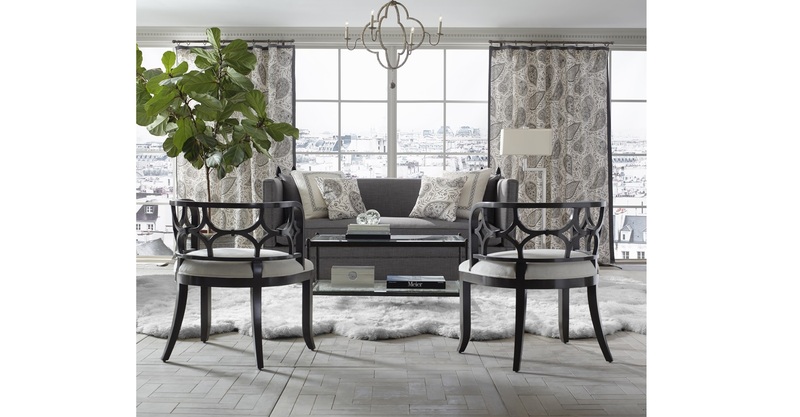 An established company with a fresh, young perspective on design, Duralee has continuously expanded our extensive offerings of fabric, furniture, and trim to include designs from traditional to modern in order to provide the Interior Design industry with the proper tools to continue its rapid growth. Distinctive. Diverse. Dramatic. Definitely Duralee. Fabric, Furniture & Trimmings, Wallcoverings, and Drapery Hardware.